The time is upon us when we are all gearing up for one of the most celebrated holidays in this country and that’s the Superbowl! Well it’s not necessary labeled an official holiday on the calendar, but we would all like to think so. Superbowl Sunday is an unofficial time for family, friends, sports fans and even non-sport fans to get together and celebrate American sports at its highest level with adult beverages (if you prefer) and most importantly good food. The spectacle of the half time show can be very interesting but what a lot of people walk away remembering is who blew the game and what was the best dish at the party. I always enjoy hosting and being around family and friends laughing, eating and enjoying one another. 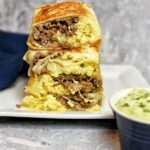 It’s not always easy to think of good game recipes because we want to stay within a budget and we want to enjoy bites that are easy to eat, make and enjoy. 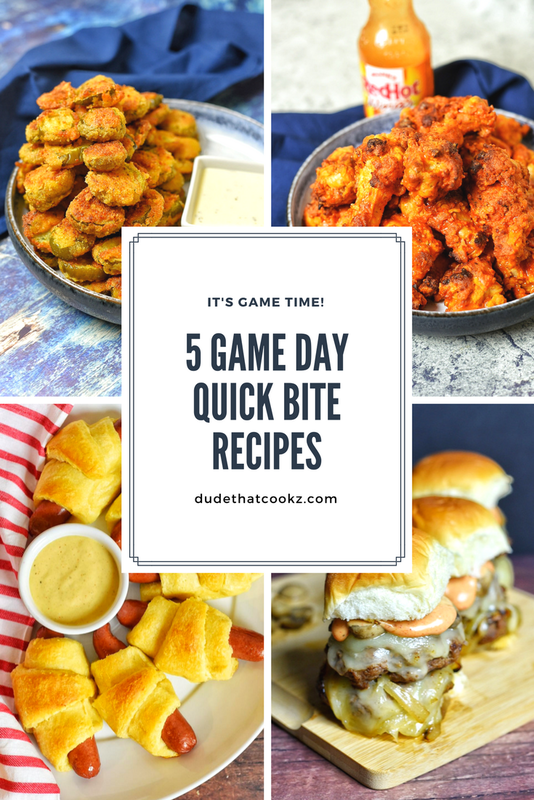 Here are some of my favorite Superbowl game-time recipes that I go to when I want to bring comfort with the food. Hope you enjoy! The Creole crust along with the sour crunch you get from the pickle will have you eating more than just one. Enhance your game day experience by giving these fried delights a try. There is just something special about the combination of Swiss cheese and mushrooms. The caramelized onions and the secret sauce take these sliders over the top like Walter Payton diving into the end zone for the game winning score. My Buffalo Chicken Dip is a great go-to dish for any game day. Serve with a side of pita chips, tortilla chips, and/or celery stalks. 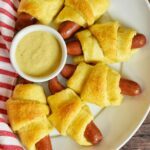 If you love crescent rolls and hot dogs why not combine the two! The buttery crescent roll with an all beef hot dog can be a change in the right direction. And the Kung Fu mustard sauce will enhance this hot dog experience and give it a kick. I think we can all agree that chicken wings can be a part of the daily diet. The seasonings along with the buffalo sauce can become a dangerous and addictive combination. If you love buffalo hot wings you will enjoy this recipe for any game day.